I’ve never been Gresik before. This little city lies nearby Surabaya and all my life I’ve been coming many times to Surabaya but not Gresik. So when my friend Mbak Lia asked me whether it would be a good idea to go there and explore the food, I immediately said yes. Off we went with some other friends for a nice day out. 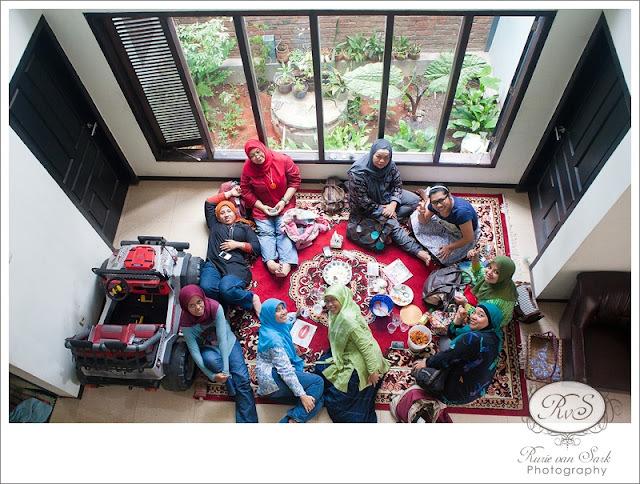 First we stopped by at Mbak Fifi’s house, she already prepared very nice lontong mie. 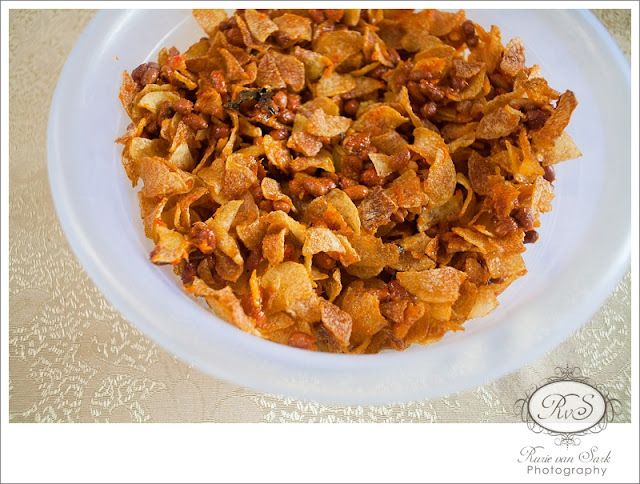 A speciality from Surabaya. 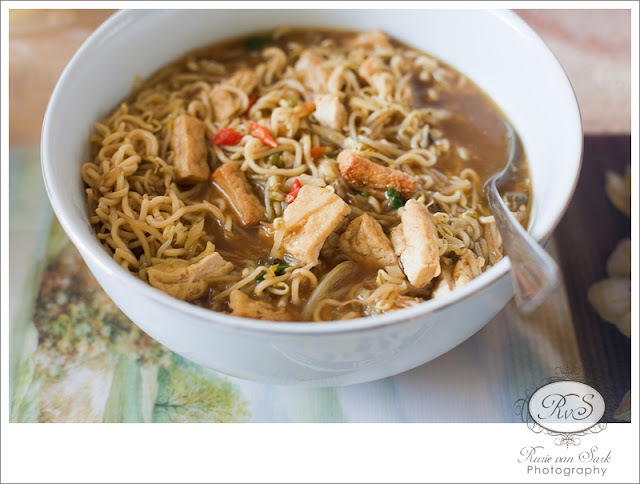 A noodle based dish with bean sprout and what makes it typical Surabaya is the used of petis (Indonesian shrimp paste). It’s spicy, savoury with tiny hint of sweetness. Yum! 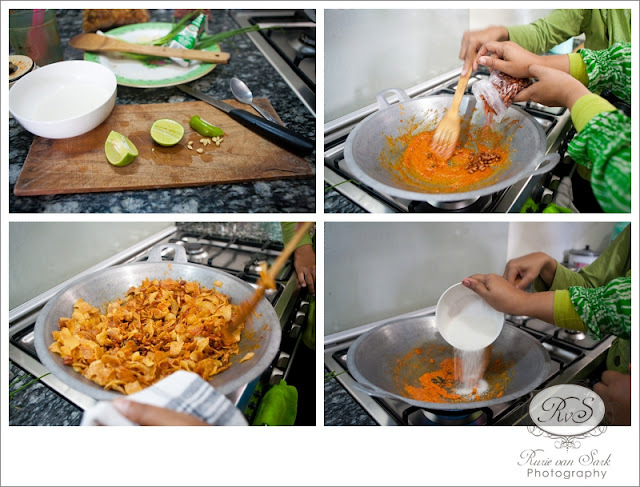 On the spot Mbak Lia also taught us how to make her renown kering kentang, a side dish made of fried potato, peanuts. You could check out her recipe here in Indonesian. 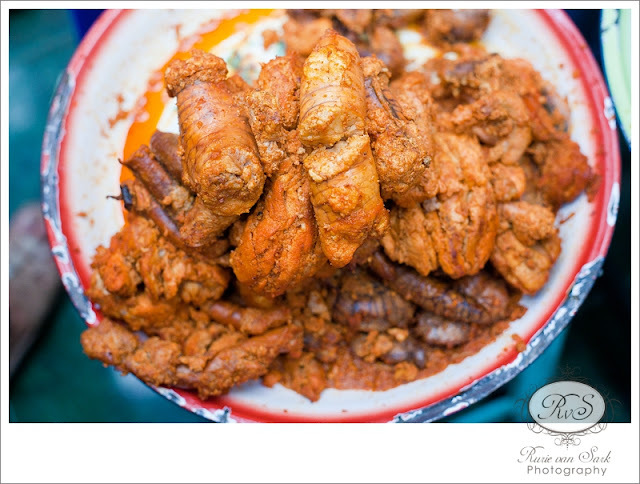 Yum, I don’t think we could wait to eat this for side dish, it is also good for snack on its own. The whole crew, you could see we were full and sleepy after all the food. Thank you all for the memorable outing. 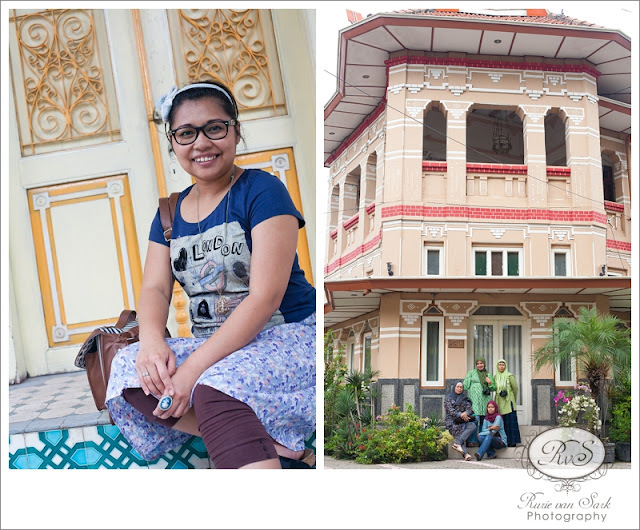 But we had to move on and see some parts of Gresik, for example we went to the city centre where they still have old colonial style building. 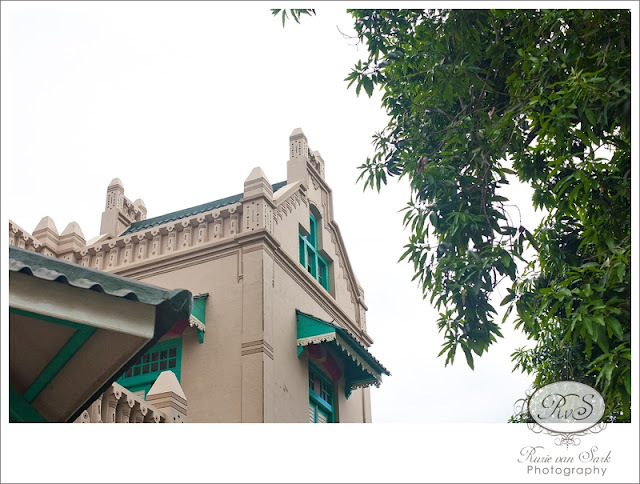 This building was privately owned but we just went inside and asked permission to shoot some pictures. 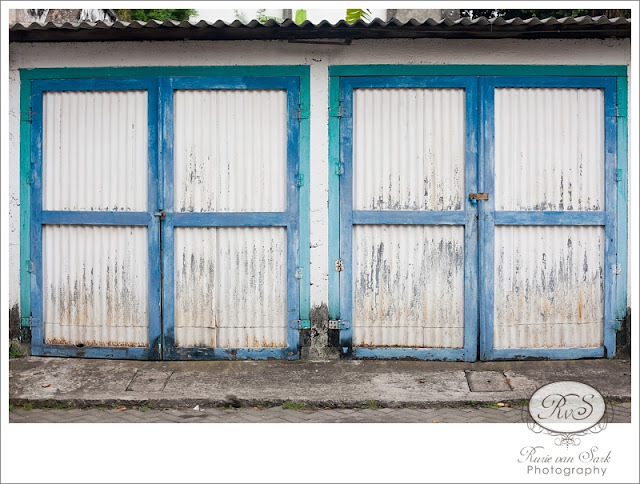 I could not just pass some blue doors and not take pictures. Next we went to a Nasi Krawu place, a typical rice dish from Gresik. 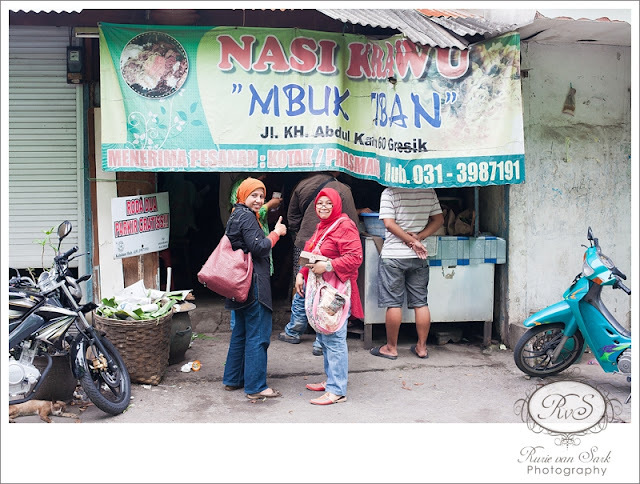 This place Nasi Krawu Mbuk Tiban is one of most popular place in Gresik. 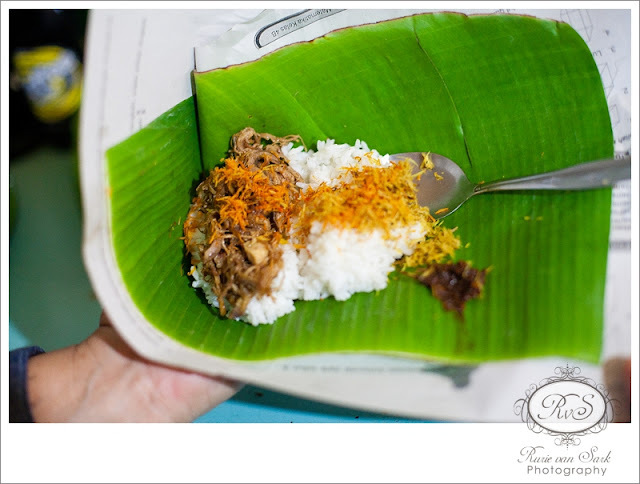 It is basically rice with some side dish of shredded beef, serundeng (shredded coconut) and the most important condiment, the sambal. 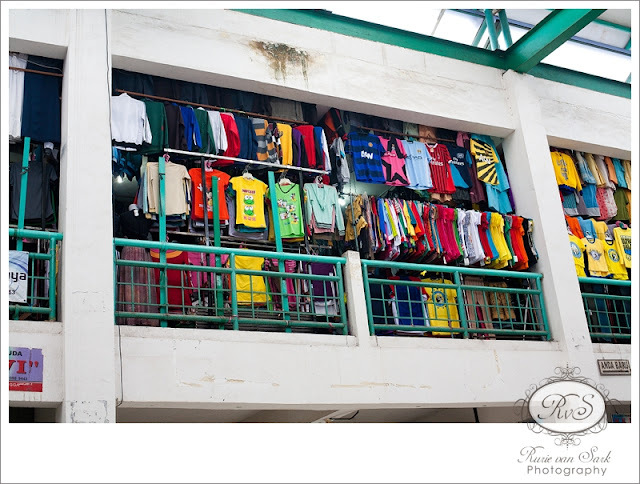 To take the load off from our full tummy we went to the Pasar Gresik, the central market that is. 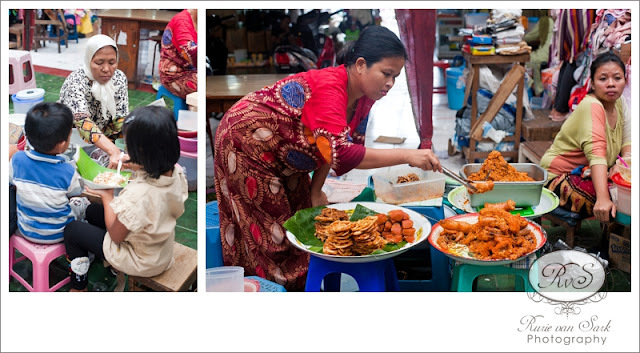 We weren’t long there, Mbak Lia wanted to show us this particular dish they sell at the market. Which was this. Can you guess? They were fried fish roe. Have you ever tasted fish roe before? 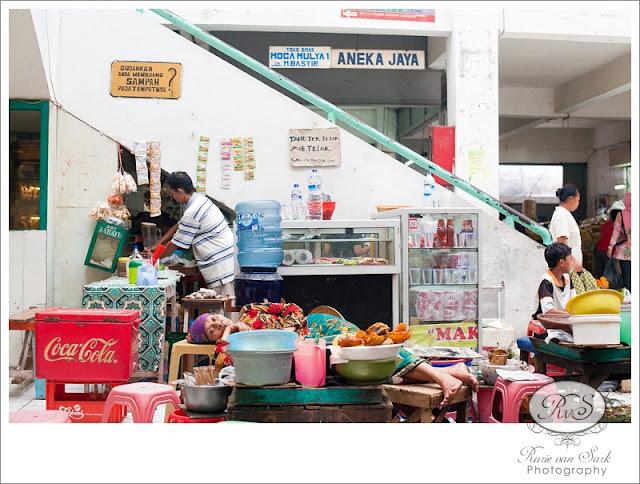 This entry was posted in Behind the Lens and tagged "indonesian food", east java, gresik, indonesia, java, lontong mie, nasi krawu mbuk tiban, photography, surabaya, travel on October 24, 2012 by rurie. Huaa can’t wait Mbak Lia 🙂 miss you!! !